Creating a Google Plus (or Google+) page has become a popular trend for business owners since it’s release. Google is connected to almost anything you could possibly want to know about and is incorporated in many aspects of day-to-day operation as it is the most widely used search engine in the world. Google+ allows a business the opportunity to market themselves and make their presence known through search engine optimization techniques and quality content. Google+ is classified as a social media website, similar to the likes of Facebook and Twitter, and people and businesses can link content to their page such as photos, videos, and articles in order to promote themselves and get their ideas out to their audience. There is a misconception amongst some people that Google+ is “pointless” and that “nobody uses it” due to it being a new and different type of social media platform. Although the site may not be too popular for social purposes, it can still act as a very good tool for marketing purposes. A business’s daily routine usually revolves around Google (Gmail, Drive, Search, etc) and it is highly recommended they get involved in the Google+ community, as your content is given more attention when something is posted. When your content receives a +1, which is when another user endorses your content similar to a “like” on Facebook, it boosts your online reputation and is more likely that something you posted on Google+ shows up when people are searching for related things using Google Search. This can be extremely helpful when there are similar businesses to yours in your community but you have more of an online presence. 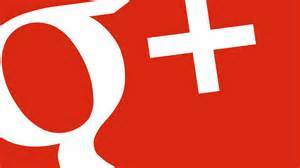 Creating a Google+ is a great way to optimize your business’s search engine results. Keeping active and interacting with your audience on social media is a new and effective way of marketing as even the smallest online presence can be helpful to your personal brand.